Beginning of a new year is an excellent time for a fresh start.With new years and new beginnings I am always looking forward to try new things in the coming year learn new things,try something new,set new goals,try to visit new places the same way last year I thought of starting this blog. 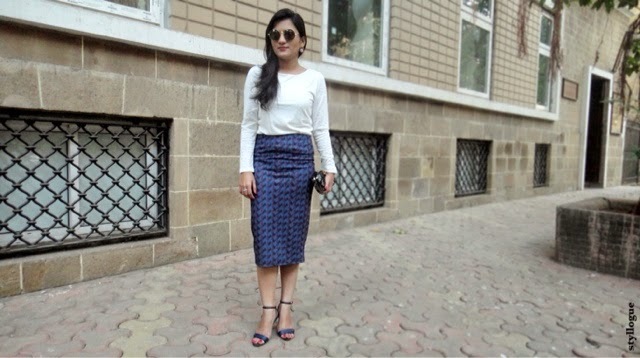 Keeping this thing in mind I wanted this post to be a style or an outfit which I had not yet tried on the blog before and that’s how I landed with this beautiful printed pencil skirt. The versatility of this skirt lies in how you can easily transition it into different looks.This printed version of the pencil skirt will look unquestionably powerful during the day and equally chic and fun for evening. 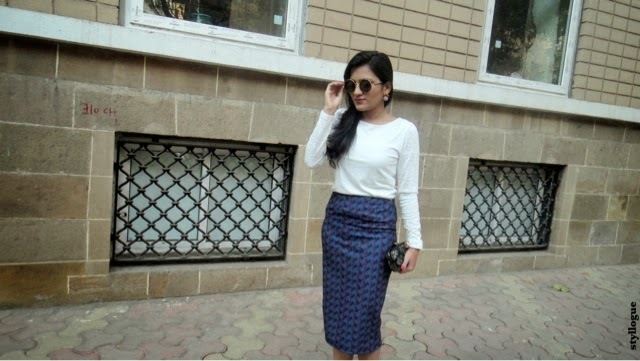 I like the high waist midi length pencil skirts it gives a very retro look.Pair it with a beautiful blouse for a day look and with a peplum top for a evening look.Since pencil skirts are so fitted I like to pair them with loose tops. Love your look ! 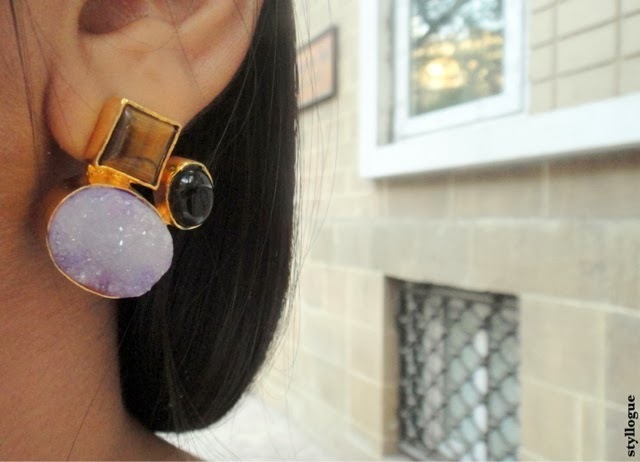 great accessorising ! Thnks a lot Urva…did visit ur blog.A very nice and different blog ul write there. 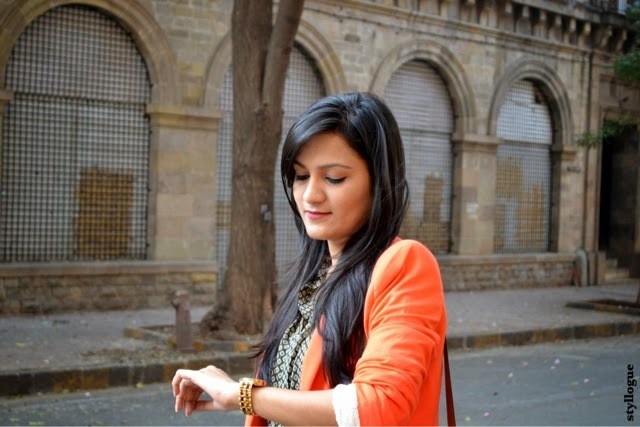 Dat skirt is looking awesome on u..loved d earrings..a big fan of ur blog..love all ur looks..